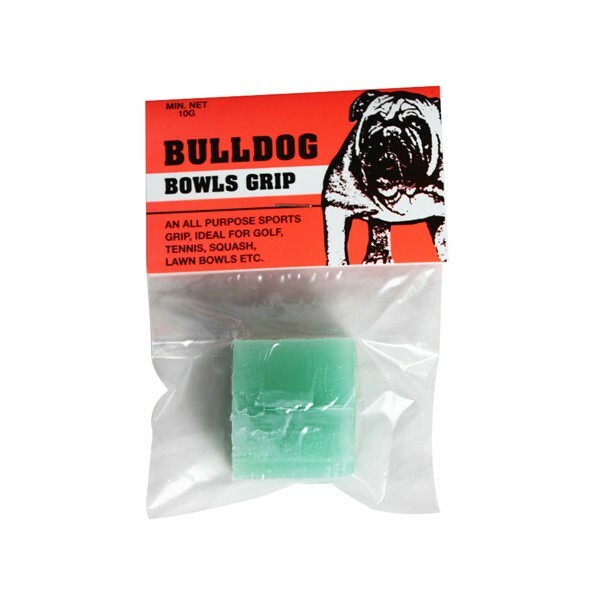 When stored in your pocket whilst bowling, Bulldog Grip can be used to keep hands dry and provide you with a smooth controlled delivery. Ideal for wet weather play, Bulldog Grip is convenient to use and will not stain clothing. To use: soften by squashing it between the heels of the hand. Once it has been softened it can be applied by lightly rolling it in the finger tips. The application of a thin film of the grip to the fingertips provides a positive grip on the bowl. A small amount of grip will transfer to the bowl and, by using a polishing cloth, can assist in keeping a polished sheen on your bowls.